Sutton mill was built in 1789 with 8 floors. When it was rebuilt after the fire of 1861 an additional floor was added and the common sails were replaced by patent sails. 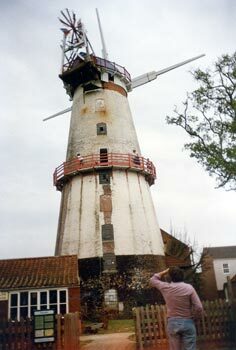 The nine storey mill was topped by a traditional Norfolk boat shaped cap and had a gallery and petticoat. 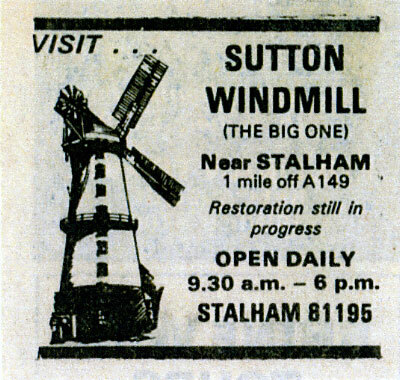 By 2005, Sutton mill at 67' 6", was reputed to be the tallest remaining windmill in the county although the unconfirmed height of Lakenham_Peafield was said to be. almost 80 ft.
Sutton's 9 storey tower was about 67' 6" to the curb and 79' 6" to the top of the Norfolk boat shaped cap with a chain pole. The stocks were 12ins. square at the centre. The four double shuttered sails, struck by rack and pinion had a span of 73 feet and were 9ft. 4ins. wide. Each sail had 9 bays of 3 shutters and at one time they were recorded with 10 bays of 3 shutters. The left handed, 10 bladed fantail, was 12 feet in diameter. The windshaft was 18ins. diameter at its neck and 13ins. at the brakewheel. The 9ft. 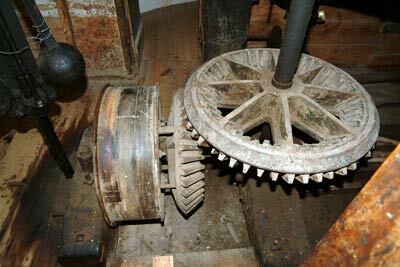 diameter, 8 armed brakewheel was made of iron with 88 cogs and the shanks were dovetail wedged. The brake lever had a multiplying gear that was used to increase the mechanical advantage, to produce a ratio of 4½ to 1. 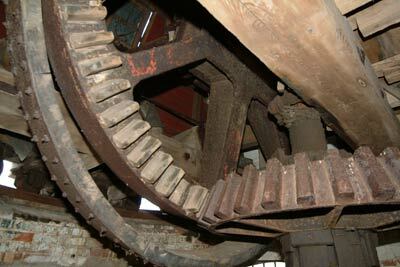 The cast iron wallower on the 8th (dust) floor had 31 cogs. The stone nuts with 30 teeth were the largest iron mortise nuts Rex Wailes had ever seen. Four pairs of stones were situated on the 6th floor although Harry Apling mentions that they were on the 5th floor and that by 1926 a further pair of stones were set on the 2nd floor. 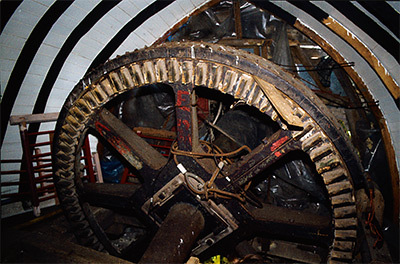 The sack hoist was driven by a belt from below using a pulley to drum connection via a universal joint to correct the alignment from the drive supplied by the crown wheel on the 7th floor. On the sixth floor of the tower there were 4 sets of stones, more than any other mill in the country. The walls were over 3 feet thick, the tower outside diameter was 33 feet and the diameter at the curb was 16 feet. Unusually, the 8 storey mill was built on the site of an earlier towermill that burnt down in 1789. 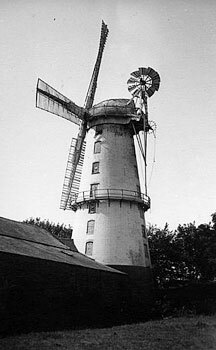 When rebuilt, the mill was large enough to use 4 common sails to power 4 pairs of stones, 2 flour mills, jumper and cylinder. However, by 1858, the common sails had been replaced by 4 patent sails. A stage was set around the tower on the 5th floor. In 1857 the mill was producing 10 to 12 score or lasts per week, this being equal to 200 to 240 coomb sacks, meaning each pair of stones was producing 50 to 60 coombs per week. In 1858 production had increased to 12 to 14 lasts per week, being equal to 240 to 280 coomb sacks, each set of stones thus producing 60 to 70 coombs each. The mill suffered a serious fire in 1861 and was then hit by lightning on Monday 4th July 1875 at 4.00 p.m. with the lightning bolt hitting one of the sails and then passing down through the centre of the mill via the sack chain. Some of the staff were within three feet of the chain at the time but escaped injury. 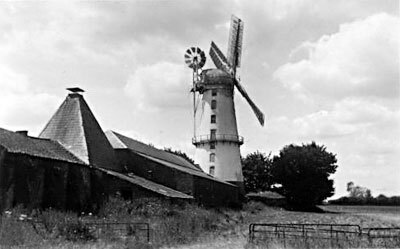 However, the mill was again struck by lightning in 1940 when the sails were hit, causing a fire. The mill, which by this time had given up grinding corn and was exclusively producing animal feed, ceased to work from that time. Whereas I, William Read of Sutton, Innkeeper, having rescued a Mare belonging to me, distrained by Mr. John Bygrave, junior, damage feasant and also abused the said Mr. Bygrave, who in consideration of my paying one pound, to be distributed in bread to the poor of the said parish of Sutton, and expences and asking the said Mr. Bygrave's pardon, publicaly, has declined commencing actions for the above offences; I do therefore hereby beg the said Mr. Bygrave's pardon accordingly. Apply to Mr. John Bygrave, Sutton Mill. N.B. A Single man will be preferred. By applying to John Bygrave, Sutton Mills, Norfolk. Thomas Goose of Hickling, Farmer assigned personal Estate and Effects to John Bygrave of Sutton, Miller for benefit of creditors. Any Persons that are desirous of Contracting for the Building of a TOWER WINDMILL on the premises of William Warner Esq. are desired to send their Proposals free of postage to the Kings Arms Inn, North Walsham on the 3rd day of December next. N.B. 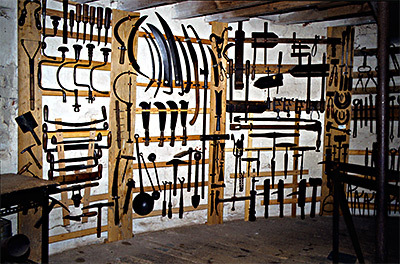 For a Plan of the Work etc. apply to Mr. John Bygrove, Sutton Mills, Norfolk. 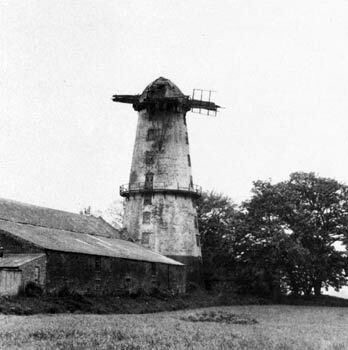 Mill shown as large towermill with a stage. The Award also included Ingham_postmill that was just inside the same parish. A very capital TOWER WINDMILL having eight floors, driving four pairs of stones and fitted up with all necessary Machinery, capable of doing from 10 to 12 score per week. Also a 20 coomb Steep Malting House adjoining with Barley Bins and all requisite Storerooms. A good trade has been carried on for many years upon the above Premises which are situate in a populous neighbourhood within three quarters of a mile of the navigable river and about one mile from Stalham where an excellent corn market has been established and is well attended being one of the finest districts for corn in Norfolk. Apply to Mr. Bygrave at the Brewery or to Mr. John Bygrave, jun. at the Mill, Sutton, near Stalham. Wm. 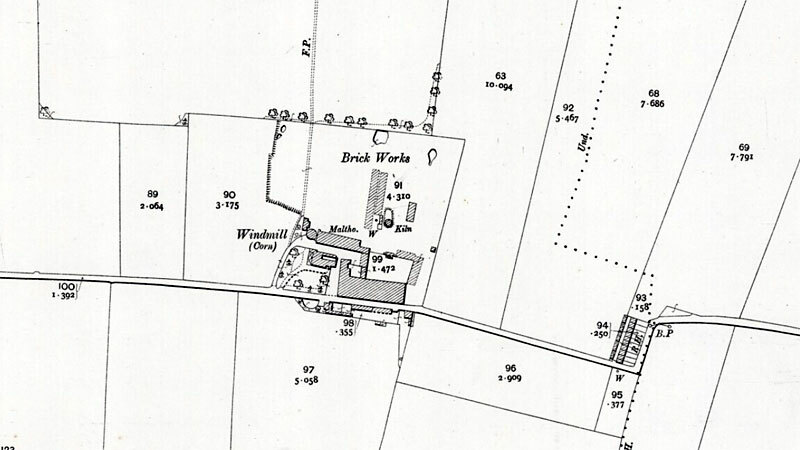 Spelman & Sons are instructed by the Proprietor, Mr. Bygrave to let for a Term with possession at Michaelmas next the following important Mercantile PROPERTY situate at Sutton. A Brick Tower Windmill, eight floors in height with four patent sails drives four pairs of stones, two flour mills, jumper, cylinder, two meal hoppers holding about twelve sacks each, also a counting-room, barley store, granaries, paint shop and large store room. A Malting of 25 coomb steep, kilns, drying room, malt office and stores. and 90 acres in Sutton and Hickling. The above Property offers many advantages. The Mill stands well for wind, has superior tackle of every description and is capable of doing from 12 - 14 lasts per week. Particulars of the Proprietor, Sutton, Stalham, and of Messrs. Spelman, Norwich and Yarmouth. An excellent Family Residence (a part of which the proprietor will retain if desired), spacious Agricultural Buildings, Cottage and about 83 acres Arable Land and Marshes. Particulars may be had of Messrs. Keith, Blake & Keith, Solicitors, Norwich and of the Auctioneers, Norwich and Yarmouth. Mill and Cart horses etc. Sale to commence at 12 o'c at noon punctually. 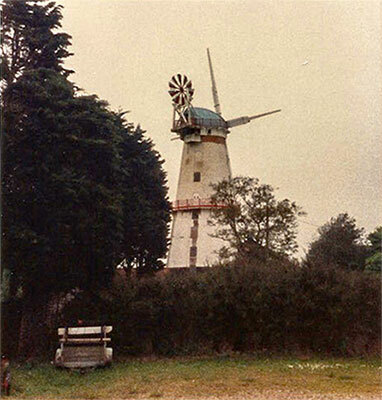 Any Person wishing to contract for the PAINTING of a large WINDMILL and other work at the Parish of Sutton, are requested to apply to John Bygrave, New Brewery of the same place. Apply to T. Worts, Sutton or at Stand No. 51, Corn Hall, Norwich. Mr J. Worts' wind mill was struck by lightning, considerably damaging one sail. The electric fluid appears to have struck the sail, then entered the mill on the sack tackling chain to the first floor, shattering a large beam and joint then made its escape by the door to the ground floor. Mr Worts' son and six men had a miraculous escape. They were standing together within two or three feet of the hole that was shattered and none received any injury. They were all very much frightened and some appeared quite stunned, but soon recovered. On Monday (19th) about four, a very severe thunderstorm broke over the parish of Sutton and continued for some time, accompanied with heavy rain. Mr J. Worts' windmill was struck by the lightning. One sail was considerably damaged. 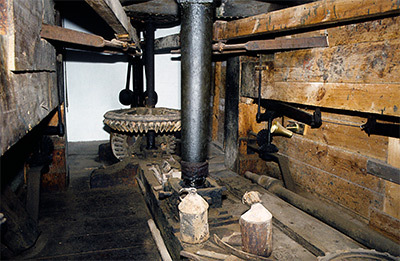 The electric fluid appears to have struck the sail, then entered the mill at the neck and passed down the centre of the mill in the sack tackling chain to the first floor. It then made its way down the chain, cut a hole through the boarded floor, shattering a large beam joist and made its escape by the door of the ground floor. Mr Worts' son and six men had a miraculous escape. They were standing together within two or three feet of the hole that was shattered and none received any injury, they were all very much frightened and some appeared quite stunned, but soon recovered. A LIMITED number of HORSE STOCK taken in for the season from 12 May to November 1st. Yearlings 60s. ; 2 year old 70s. ; 3 year old 80s. Apply T. Worts, Sutton Mill, Stalham. Such a fire in this district has not occured since 1861 when Mr. T. Worts' mill at Sutton was totally destroyed. 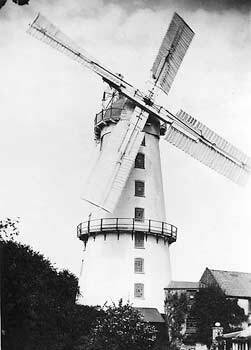 The tallest windmill still standing in Britain is the nine storey Sutton Mill in Norfolk, built in 1853 which before being struck by lightning in 1941 had sails 73 ft. in diameter with 216 shutters. 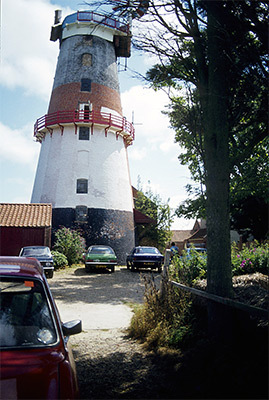 The mill was bought by Chris Nunn in 1975 and was restored to become a museum in its own right, quite apart from the Broads Museum housed in the surrounding complex. The Broads Museum housed an incredible collection of artifacts from a variety of trades and collections including old domestic utensils, kitchen appliances, woodworking tools, razors, leather trades, soaps & cleaners, trade tricycles, veterinary & animal instruments, traps, historical tobacco products, large engines, marsh & water implements, early cameras, TV's & radios and a complete Victorian pharmacy. Chris Nunn did much to restore the mill including the installation of new Honduran pine stocks. However by 2004, the mill was beginning to become dilapidated and was in need of a considerable amount of restoration work. I went to Sutton mill in about 2004 and it was in a serious condition and there was quite a lot of problems. The staging was rotten and access was forbidden and there was a lot of rot in places. 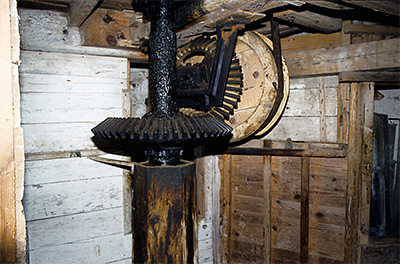 The cap leaked like a colander and if you wanted to access the fan-stage you had to use stairs created from 2 Workmates, several boxes and the windshaft itself and then the stage itself had a lot of rot and looked unsafe. flour production sometime earlier. For 30 years Chris Nunn owned the mill on New Road and its surrounding buildings, using the site to house his Museum of the Broads until he sold up a couple of years ago. 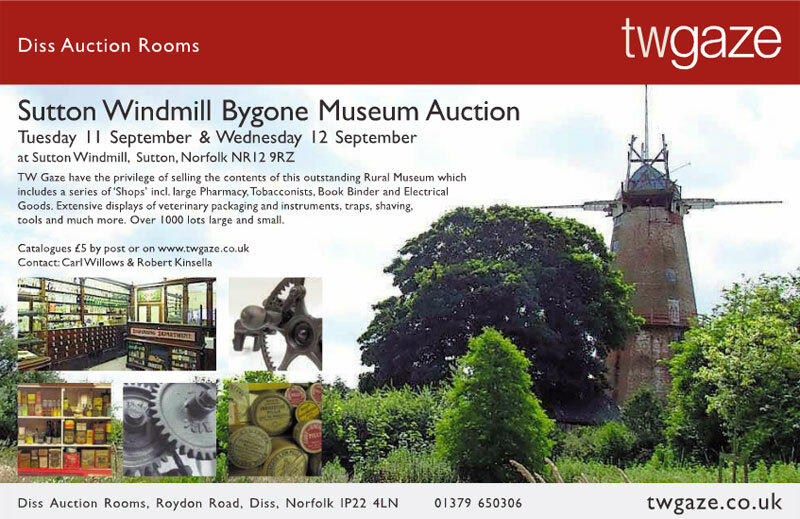 Last year the mill and its surrounding complex were taken over by the bygones museum Yesterday’s World. Manager Andy Glynn, who is based at Yarmouth, said last August: “We have only just taken over - we opened in April - and as far as our plans are concerned we will look at it properly in the winter.” But last week he said that no progress had been made. In 2007 the upper floors of the Grade II listed mill were designated as being unsafe for visitors. Full restoration was estimated at requiring an investment of around £500,000. It is with regret that Yesterdays World have decided to close Sutton Windmill and Broads Museum permanently as from 26th September 2008. It has been a difficult year of trading, and the operating costs we have incurred have meant that this has become a less than viable operation. 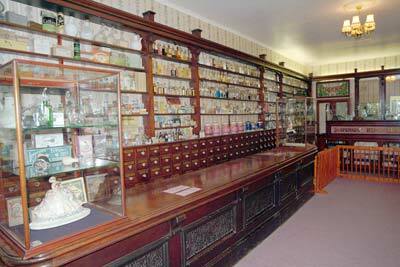 No further decision has been made as to the relocation of the collections in the Museum at this time. Chunks of timber have been falling from the wooden cap of Grade II listed Sutton Mill, near Stalham, according to neighbour and parish council chairman Linda Matthews. 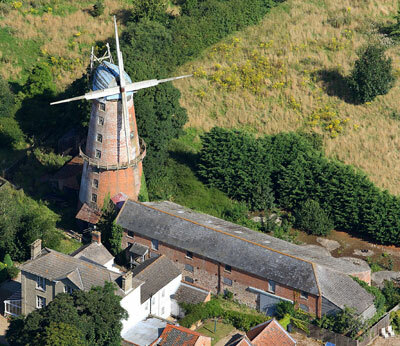 North Norfolk District Council (NNDC) experts say the 79.5ft-tall mill is not a safety risk and the mill's owners warn they cannot afford the six-figure sum needed fully to restore the 18th-century mill - but both have pledged to work together in a bid to preserve an important piece of Norfolk's heritage. The nine-storey mill is on the county council's Buildings at Risk Register because of a lack of maintenance. Its upper floors are unsafe, it is not water-tight and the sails are broken. 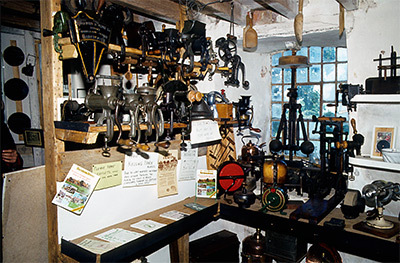 For 30 years, until 2006, it was visited by up to 20,000 people annually in its guise as The Sutton Windmill and Broads Museum, run by Chris Nunn and housing his huge collection of bygone artefacts. The mill now belongs to Yesterday's World, an East Sussex-based company which runs historical attractions, including one on Yarmouth's Marine Parade. Carl Partridge, chief executive of the Yesterday's World group, said they had tried to keep it open as a tourist attraction but it had become economically unviable. “Within the first month of opening it became quite clear why it wouldn't work,” said Mr Partridge. It was off the tourist trail, poorly signed and down narrow roads, in an isolated rural area which was not designed to cope with large numbers of people. 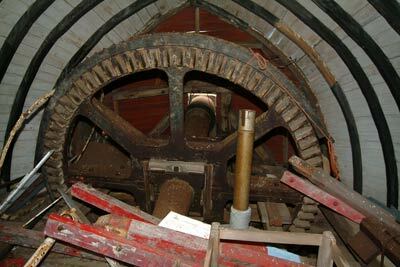 Yesterday's World, which closed the mill to the public in 2008, had realised that it would need at least £500,000 of restoration work. 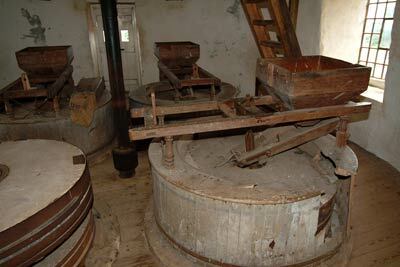 Yesterday's World recognised the importance of the mill and wanted to safeguard its future, he added. He was seeking talks with NNDC to try and find a solution which would both preserve and find a use for the building. But Jonathan Neville, of the Friends of Norfolk Mills, warned that the current economic climate meant public funding for such projects was drying up fast. “Its loss would be a great shame. It's a unique and iconic building which can be seen for miles around and we're very worried about it,” said Mr Neville. Norfolk County Council will vote on Monday on a package of proposed cuts which would see the Norfolk Windmills Trust lose all of its annual £70,000 funding from 2012. The mill was “generally structurally sound”, although the cap was in particular need of repair to make it wind and water tight, according to Chris Young, senior conservation and design officer with NNDC. Mr Young also said they would continue talking to the owners, and to English Heritage, in a bid to find answers. A landmark windmill is the latest target of an action team aiming to tackle north Norfolk's eyesores and neglected properties. 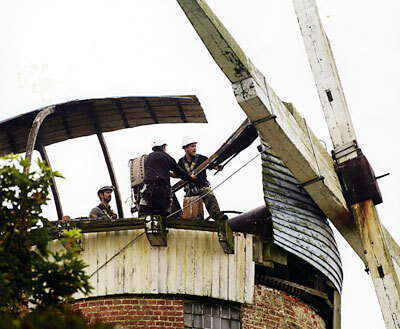 Work is already being carried out to make crumbling Sutton Mill near Stalham, safe after chunks of timber fell from the cap after winter storms. Now talks are under way between officials and the owners to carry out further conservation work to the tallest mill in the county. The moves to save the former tourist attraction and museum comes after a string of other success stories by the district council's enforcement board, which has made progress on 62 out of 102 long-term probnlem buildings in the area, some of which have been disused for 20 years. 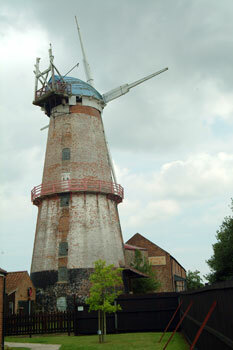 The mill was bought in 2006 by the company Yesterday’s World which ran it as an historical attraction. But the firm closed it two years later, saying it was unviable. The News was unable to contact the owners. The mill built in 1789 originally had eight floors. When it was re-built after the fire of 1861 another floor was added to take it to its current height. During the past month the mill has had its stocks taken off along with the cap. New sails and cap will hopefully be made and refitted by the owners. To the surprise of locals, no attempt was made to retain the cap ribs, and fan carriage as patterns, which is likely to make restoration more difficult. One of the tallest windmills in the UK, which is on the ‘at risk' register, could be safeguarded by a £350,000 council loan. 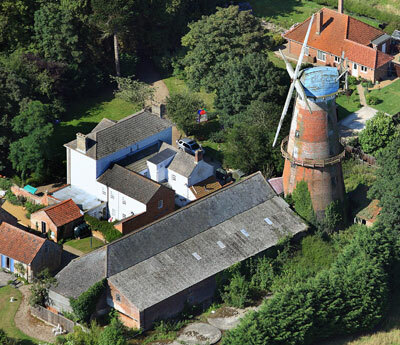 The North Norfolk District Council (NNDC) loan would allow ancient building experts to buy Sutton Mill, near Stalham. The loan was recommended for approval at the council's Cabinet meeting on Monday, December 4. A meeting of the Full Council will make the final decision. If agreed, the loan would be repaid over a period of eight years. The project to buy and refurbish the Grade II* Listed building, which was built in 1789, would also see a heritage centre established at the site, an academy for training millwrights and a workshop. Nigel Dixon, NNDC's cabinet member for economic development, said: “The project would safeguard an important heritage building on the Historic England ‘at risk' register, ensure traditional skills are preserved and create a visitor centre in a part of the district with unrealised tourist potential. The money is a key part of the funding jigsaw being put together by the mills section of the Society for the Protection of Ancient Buildings (SPAB). The National Millwrighting Centre CIC, a not for profit community interest company, has been set up to take it forward. The project would create the UK's National Academy for Traditional Milling and Millwrighting, which will train up to five professional and volunteer millwrights at any one time. A commercial millwrighting workshop would also be created to service the mills of East Anglia and beyond. North Norfolk District Council is launching a crackdown on derelict buildings. A list of unsightly properties has been produced with owners being urged to make improvements or make a planning compulsory purchase on the property in question. 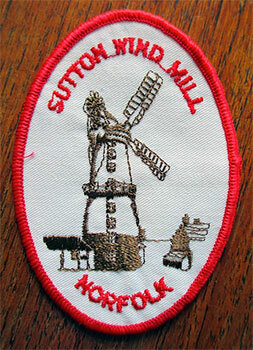 Sutton Mill in Sutton near Stalham. A bid to save one of the UK's tallest windmills has been launched, with the aim of keeping the heritage site open for aspiring millers. The Sutton Mill is due to be sold next month, and a team hoping to create the National Milling and Millwriting Academy have launched a campaign to buy the property themselves. The National Milling and Millwriting Academy bid needs to raise £150,000 with the help from donors. 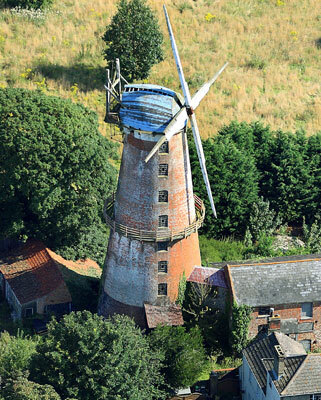 The Grade II star listed windmill, which closed as a museum in 2008, is in need of renovation and comes with a granary of just over 7000 sqft and is set in approximately 1.85 acres. The museum previously welcomed around 20,000 visitors every year. Jon Cook is one of the directors of the Sutton Mill Project. He is urging bakeries to back the project so that traditional flour can still be provided. 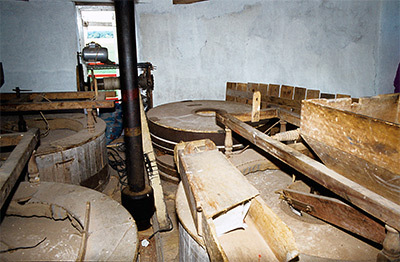 He said: “The future is bright for traditional stoneground milling today – more and more people are finding the benefits of local stoneground flour, whether milled in windmills and watermills or on-farm. Sutton Windmill, one of the tallest windmills in the UK, has sold to a private buyer dashing hopes of campaigners who were hoping to buy it to set up an academy. Sutton Mill has been sold by online auction to a private buyer, bringing to an end hopes of campaigners who were trying to buy the historic building to create a mill academy. “It is with the deepest regret that the directors of the National Millwrighting Centre CIC announce that we have failed to secure Sutton Mill to become the base for the National Milling and Millwrighting Academy. 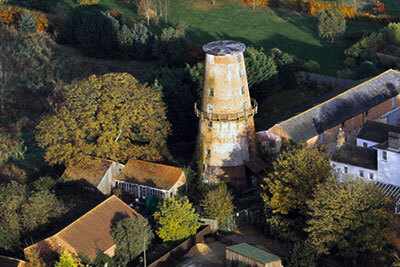 The Grade II star listed windmill and granary in 1.85 acres went up for sale last month. The mill was in need of renovation including the restoration of the cap estimated to cost alone in the region of £100,000. It went up for sale with starting bids of £135,000 together with a four bedroom bungalow in three acres for starting bids of £250,000. 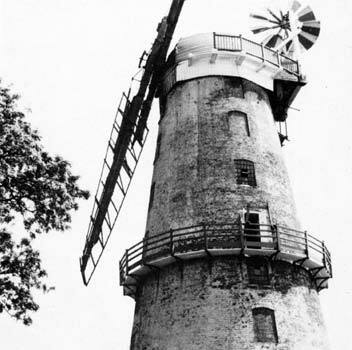 Campaigners launched a major appeal to raise at least £150,000 to add to donations to create Sutton Windmill into an academy for the training of millwrights and millers. 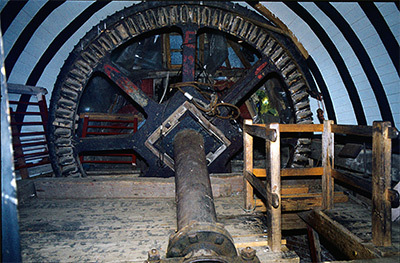 The windmill closed as a museum in 2008. The official statement posted on the campaign site said: “The directors want to thank everyone who has dug deep to make pledges or donations to the project. We would also like to thank North Norfolk District Council and Sutton Parish Council for their unwavering support for the project, the Society for the Protection of Ancient Buildings (SPAB) and their Mills Section and our team of volunteers in Sutton and the surrounding villages who did everything within their power to engage the local community over recent months. “We can genuinely say ‘we put our all' into trying to make this project a reality. Mary Worts (11 mths) b.Sutton.